Approximately 1 in 5 adults in the U.S. - 43.8 million, or 18.5% - experiences mental illness in a given year. As part of The Fantasy Authority's push to give back to those in need, we'll be fundraising for the American Foundation for Suicide Prevention throughout the 2017 Draft Season. Through our website, podcasts and social media presence, we're looking to help raise $1,000 towards helping the AFSP's push towards mental health awareness. 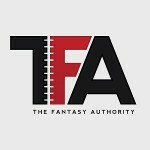 For inquiries, please reach out on Twitter (@FF_Authority), email us at thefantasyauthority1@gmail.com , or visit thefantasyauthority.com and click "Contact Us".